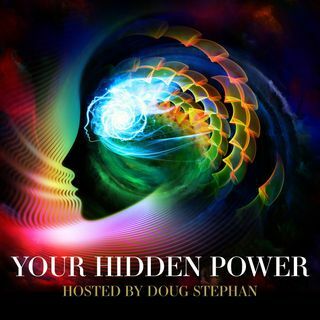 Host Doug Stephan welcomes Spiritual Author Nanci Danison, who wrote "Create A New Reality - Move Beyond Law of Attraction." http://backwardsbooks.com/index.html . Nanci was a practicing health lawyer and former litigator for 36 years, but in 1994 she died at the age of 43, but voluntarily returned to human life. In the book, she attempts to answer some of our most pressing spiritual questions: What is God? Who am I? What is the purpose of this life? What happens when we die? She ... See More offers detailed information about how to consciously manifest a better life for yourself, and, how to change old hindering beliefs that are adversely affecting your unconscious manifesting. Next, Mystifier Uri Geller www.urigeller.com , reveals the effects of walking on his gifts. Then, visits from Psychic Scout Mary O'Maley www.psychicscout.com and Astrologer Maria Francesca TriliegI http://www.mariafrancescatriliegi.com/home.html .